The Supreme Court, on Wednesday, cancelled all iron ore mining leases in the State of Goa. The leases, which were renewed for the second time, would now lapse on 15 March. The Bench comprising Justice M.B. Lokur and Justice Deepak Gupta opined that the second renewal of the mining leases granted by the State were " unduly hasty, without taking all relevant material into consideration and ignoring available relevant material and therefore not in the interests of mineral development". Taking note of its decision rendered in April, 2014 in the case of Goa Foundation v. Union of India, the Court opined that the State was obligated to grant fresh mining leases in accordance with law and not second renewals to the mining lease holders. The entire exercise, it said, was "a hasty charade, regardless of violations of the law by the mining lease holders, without any benefit to the Indian industry and without any concern for the health of the average Goan". It therefore ruled, "The decision was taken only to augment the revenues of the State which is outside the purview of Section 8(3) of the MMDR Act. The second renewal of the mining leases granted by the State of Goa is liable to be set aside and is quashed." The Court also directed the State to ensure that fresh mining leases are granted in accordance with the provisions of the Mines and Minerals (Development and Regulation) Act, 1957. Further, the Ministry of Environment and Forest was directed to "take all necessary steps" to grant fresh environmental clearances to those who are successful in obtaining fresh mining leases. Furthermore, it directed setting up of a Special Investigation Team and a team of Chartered Accountants, in compliance with the Goa Grant of Mining Leases Policy, 2014. This team, it said, should submit its report at the earliest. The State has been directed to implement the report, unless there are "very good reasons" for rejecting them. 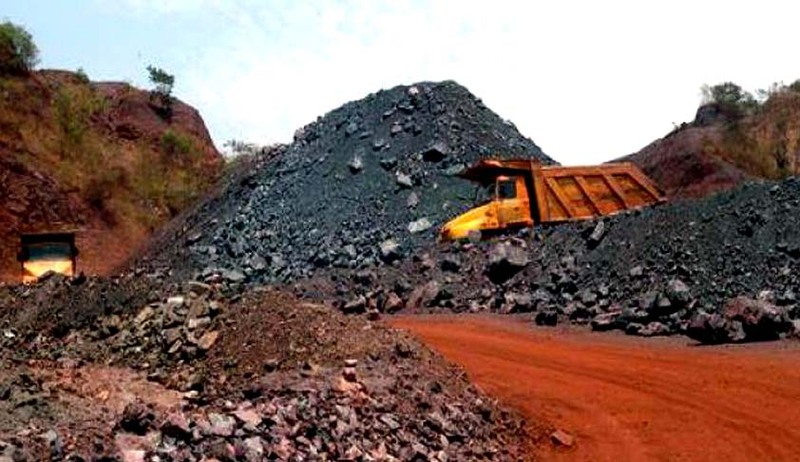 Mining had been suspended in the State of Goa in October, 2012, after the Justice MB Shah Commission had found that iron ore was being extracted illegally. These were, however, renewed in 2015 for the second time by the State for 20 years, with retrospective effect from 2007. In the 101 page judgment on a Petition filed by NGO Goa Foundation, the Supreme Court now noted that the renewals were granted a week before the President promulgated the Mines and Minerals (Development and Regulation) Amendment Ordinance, 2015, whereby the grant of mining leases for notified minerals was through competitive bidding or the auction process. "It is important to mention here that the approval of the Ordinance by the Cabinet of the Government of India became public knowledge on 5th January, 20158 and it is within a week from that date that the Government of Goa granted a second renewal to 25 mining leases and to make matters worse, a second renewal was granted to 31 mining leases on 12th January, 2015 the day the Ordinance came into force making a total of 56 renewals of mining leases," the Court noted. The Court then observed that the State of Goa renewed the leases despite understanding the decision of the Apex Court in the Goa Foundation judgment. The State had, however, relied on the Bombay High Court's judgment in the case of Lithoferro v. State of Goa, wherein the Court had opined that the SC decision did not bar the State from considering the applications for a second renewal of mining leases. Observing that the High Court's interpretation was incorrect, the Apex Court now observed, "While this Court had required the State of Goa to grant fresh mining leases and the State of Goa was willing to comply with this direction, the High Court instead directed it to execute mining leases under Section 8(3) of the MMDR Act in respect of those who had paid the renewal fees or stamp duty. The High Court also directed the State of Goa to decide their pending second renewal applications within a period of three months keeping in mind the provisions of Section 8(3) of the MMDR Act (presumably after paying the renewal fees or stamp duty in terms of the Government order of 21st February, 2013). The understanding by the High Court of the decision of this Court in Goa Foundation is totally incorrect." The Court also rapped the State for showing undue haste in renewing the leases, observing, "Unfortunately, the undue haste in which the State acted gives the impression that it was willing to sacrifice the rule of law for the benefit of the mining lease holders and the explanation of satisfying the needs of some sections of society for their livelihood (after keeping them in the lurch for more than two years) was a mere fig leaf. The real intention of the second renewal was to satisfy the avariciousness of the mining lease holders who were motivated by profits to be made through the exploitation of natural resources." It opined that the State could have waited for a few weeks and taken a more informed and reasoned decision on granting a second renewal to the leases. It further noted that the State showed undue haste to renew the leases in order to avoid auctioning them in view of the Ordinance. ...It is therefore clear that the considerations that weighed with the State were not for the people of Goa but were for the mining lease holders. This certainly cannot be described as being “in the interests of mineral development."